Chairman of the Senate Committee on Armed Services John McCain stated Thursday that the Ukraine’s use of cluster bombs was partially the US' fault. WASHINGTON (Sputnik) — The United States is to be blamed for Ukraine’s use of cluster bombs since it hasn’t provided the country with different weapons, US Senator John McCain, who serves as a Chairman of the Senate Committee on Armed Services, told Sputnik on Thursday. “I think that if we had provided them with the weapons they need, they wouldn’t have felt they had to use cluster bombs. So, it’s partially our fault,” McCain said. 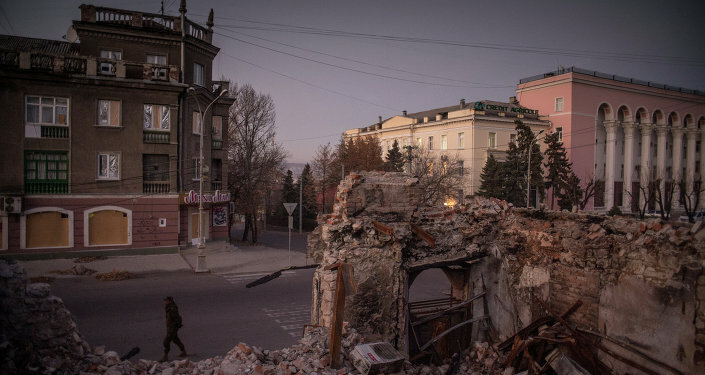 Human Rights Watch confirmed in a report last November the claims of the Donetsk and Luhansk people’s republics that Ukrainian troops used cluster munitions in residential areas. The organization added that cluster munitions were used in the October 2 shelling of Donetsk by Ukrainian forces that killed an employee of the International Committee of the Red Cross. UN report on the human rights situation in Ukraine released in November stated that the use of cluster bombs in eastern Ukraine is a violation of international humanitarian law and may be considered a war crime. Cluster munitions contain dozens or hundreds of submunitions, which spread over a wide area, endangering anyone in the vicinity. So far, 114 countries have joined a UN treaty banning such munitions. Ukraine is not a part of the agreement. 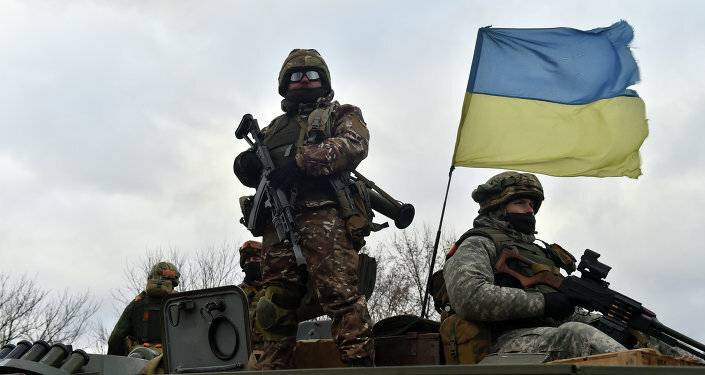 Additional US military advisors will be required on the ground if the United States provides the Ukrainian government with lethal military equipment, US Senator John McCain said. More US military advisors would “probably” be needed in Ukraine, in addition to those currently helping train Ukrainian armed forces, McCain said. McCain is part of a bipartisan group of US Senators, advocating the US provision of lethal military aid to Ukraine. US training for the Ukrainian military is underway and being directed from NATO and the US Embassy in Kiev, former top US Pentagon official Jan Lodal said this week. Since last year, the United States has provided Ukraine with non-lethal military aid and has put military advisors on the ground in Ukraine. The White House announced Monday it is still assessing its policies regarding providing lethal and other military assistance to the government in Kiev. McCain also stated that Ukraine will require Javelin anti-tank missile systems, as well as intelligence support from the United States. NATO allies, who have refused to provide lethal military aid to Ukraine, are behaving like Neville Chamberlain, the 20th Century British Prime Minister who appeased Adolph Hitler, US Senator John McCain said. “I am not surprised at all,” McCain said on Thursday of recent announcements by Italian, German, and French officials that they do not support providing weapons to Kiev. "They are behaving in the best tradition of Neville Chamberlain." During a Thursday press conference McCain stated that he was hopeful Germany’s leadership will come around and be much more active in support of Ukraine. But McCain also said he does not believe in that outcome, because of Germany’s dependence on Russian energy resources. The United States must enlist support from its NATO allies to support Ukraine, McCain said. NATO commander Jens Stoltenberg announced on Monday that NATO would be expanding its rapid response forces to counter alleged Russian aggression in Ukraine and reassure allies. In recent weeks, leaders from NATO member states France, Germany, Poland and Italy have stated that while they support providing non-lethal assistance to Ukraine, they themselves will not supply the Kiev government with lethal arms.